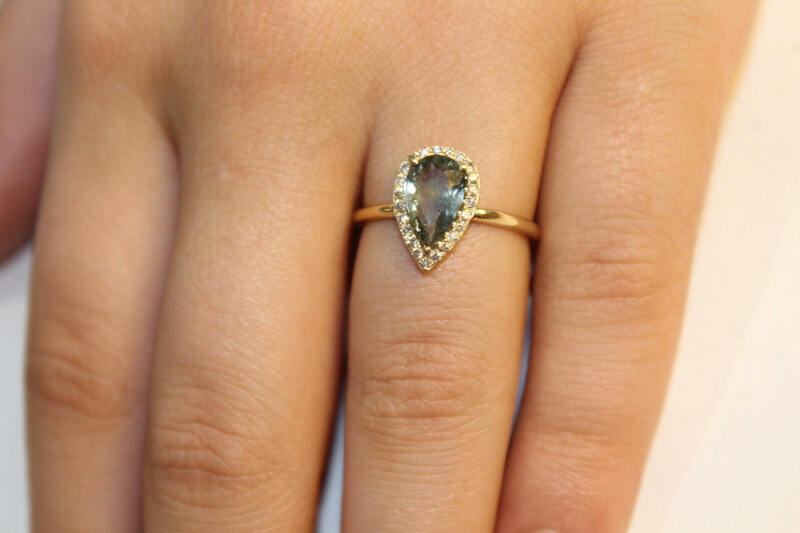 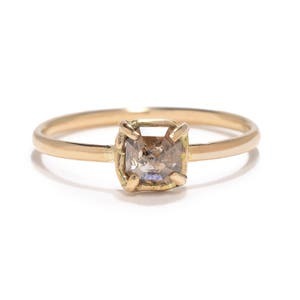 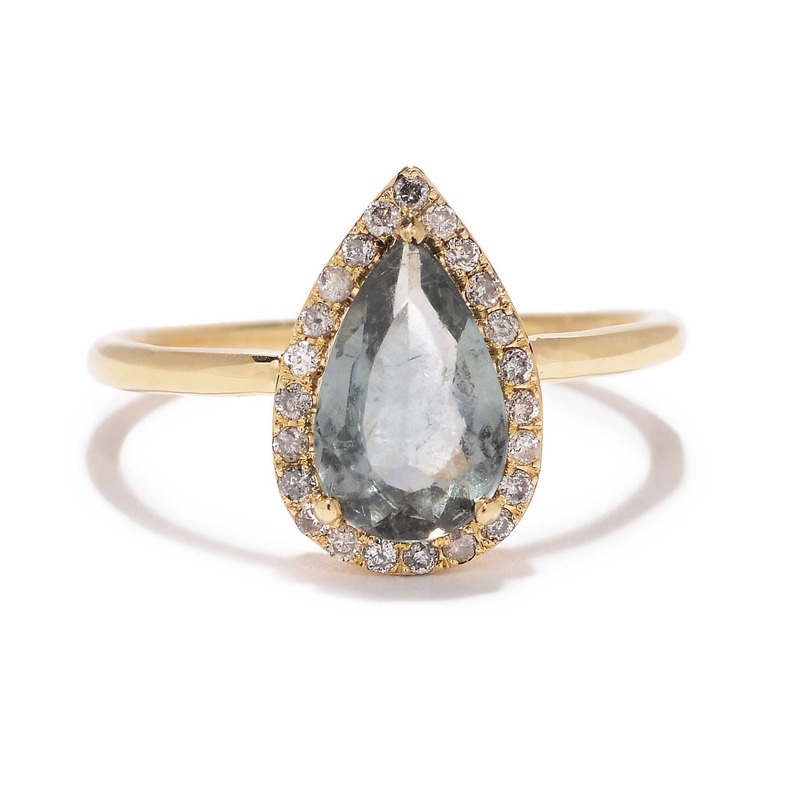 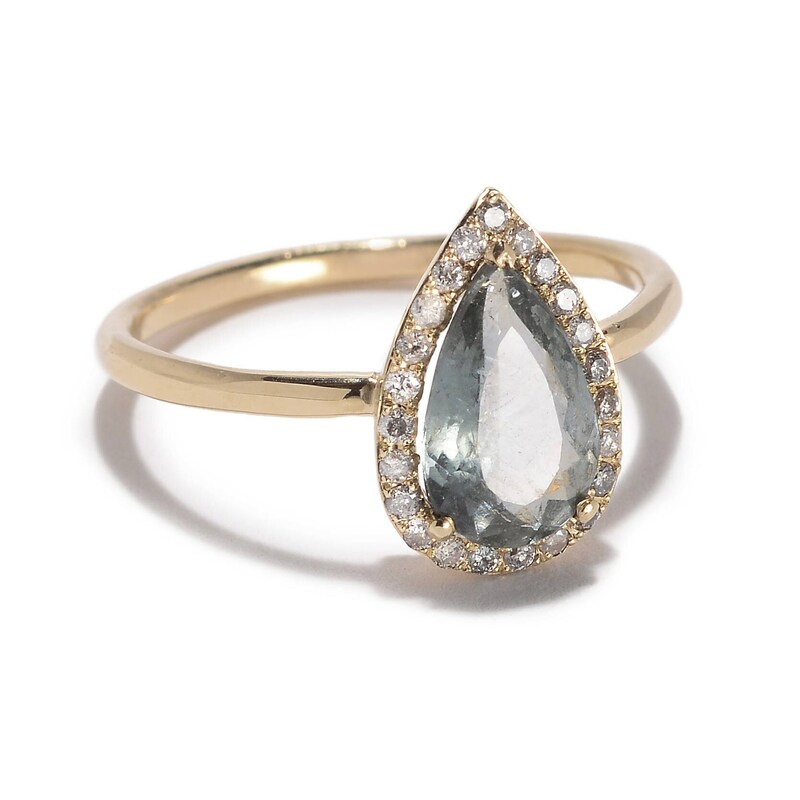 This one of a kind ring, size 6.75, features a light blue pear cut tourmaline prong set in 14K yellow gold with a halo of pavê set 1mm salt and pepper diamonds. 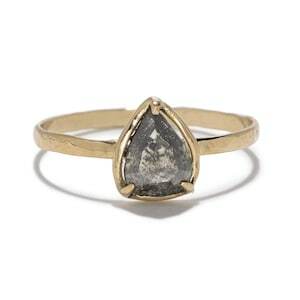 Would make a beautiful & unique engagement ring. 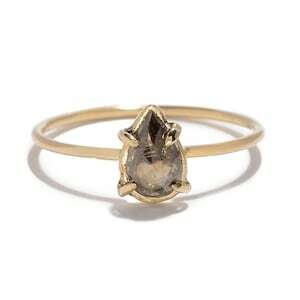 -Can be resized up or down one size. 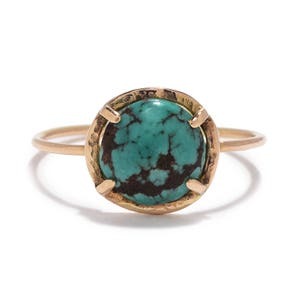 -This piece is ready to ship unless you need it resized.